Starting July first I’ll be filming my friend Rob Merlino (@hotdogman1964), The Hot Dog Man at various hot dog locations around New England. We are talking about the National Hot Dog Month 2012 Tour. Each day in July we will go to a new place, meet people try the dogs and learn about each business. There will be photos and videos and more. 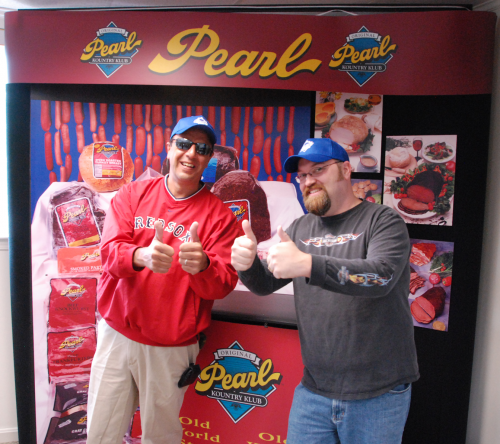 We started today with a tour of the Pearl Meat Packing facility. 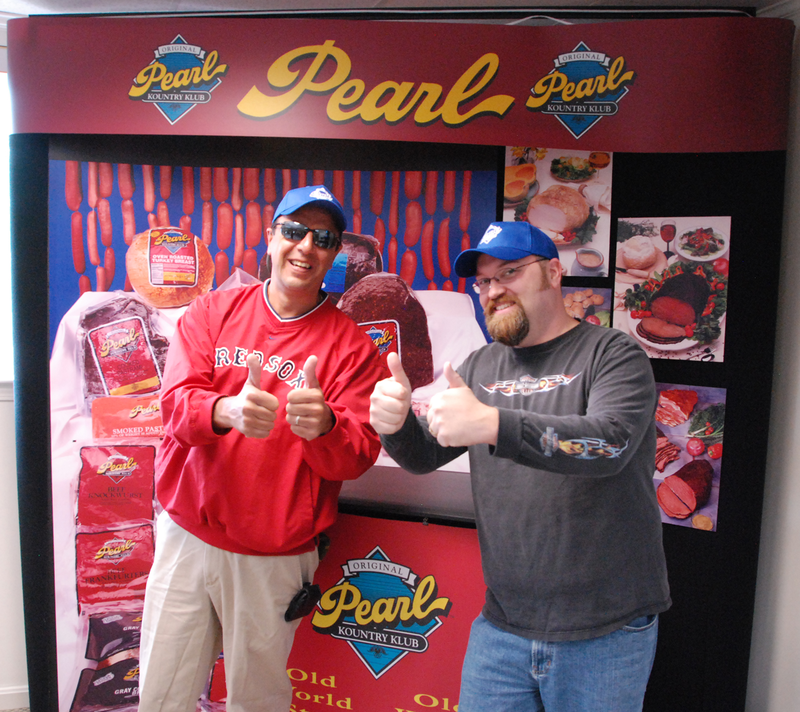 Pearl is one of the sponsors of National Hot Dog Tour 2012 (#NHDM12) and they were kind enough to let us into their facility to learn just how a hot dog is made. It is a question that we are always asked and we wanted to find out the answer. I shot video and still photos of the process and the photos will be in my Google+ albums as well as on the Hot Dog Stories facebook page. The videos will go up on Hot Dog Stories.com as well as The Hot Dog Man YouTube Channel. The month of July promises to be a whole lot of fun. That’s Two Thumbs Up for #NHDM12! You can help fund National Hot Dog Month 2012 through IndieGogo.com. I’m so very excited about this. Learn more about our Indiegogo campaign and please donate. We need gas money.